Rather appropriately for a weekend which celebrated new life and resurrection, with the release of not one but three new series, this Easter saw something of a comeback for Gerry Anderson. 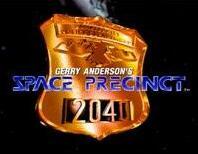 Unlike his resurgence in the early nineties which came courtesy of his classics being given repeat broadcasts (Space Precinct notwithstanding), this years is more impressive for the fact that the series being released are all original(ish) productions, and that this is all happening posthumously. 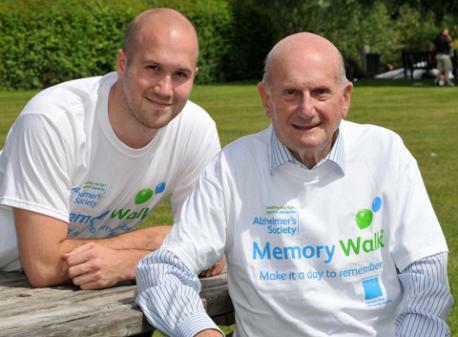 Having been diagnosed with dementia in the form of Alzheimer’s disease, Anderson sadly passed away on Boxing Day 2012. Never one for retirement however, he continued to create and develop new ideas for as long as he was physically and mentally able, even dictating them to others after the ability to read and write had left him. The last project he was working on was also the first to have been released, when last Thursday saw Black Horizon become available to the general public. With plenty of notes and outlines left behind, Gerry’s younger son Jamie Anderson recruited the services of author M.G. Harris and brought Gemini Force One to the attention of crowdfunding site Kickstarter; the result of which was raising over £33,000 to bring this this new idea to life. 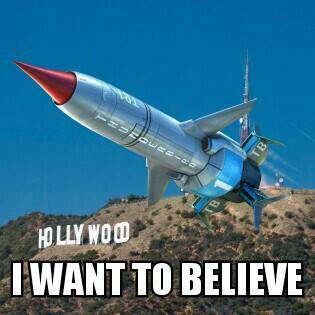 From the co-creator of Thunderbirds…. Looking at the fantastical concept of Thunderbirds, Anderson delved deeper into the idea of how such a rescue organisation could conceivably be created and operate. These range from basic ideas that include bland uniforms specifically designed to blend in to any situation, to their secret underwater base (Gemini Force One itself) being hidden from view by revolutionary lightbending technology. 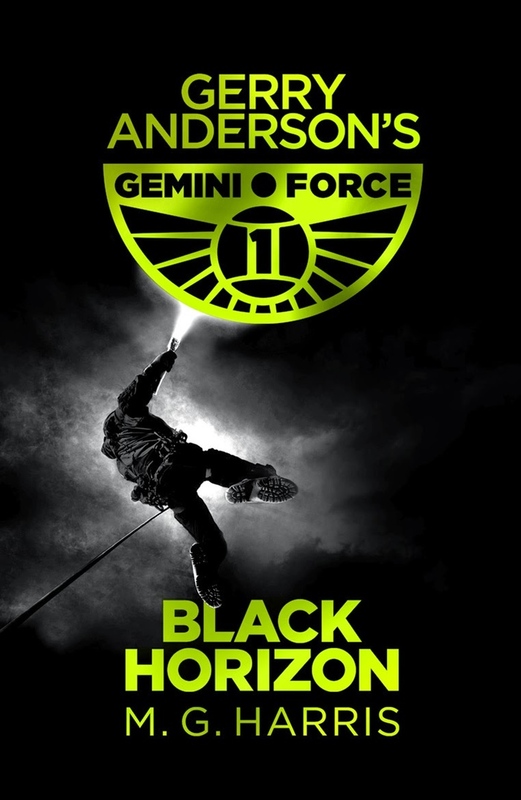 The release of Black Horizon, the first in a planned trilogy of novels, is also something that I personally have a number of connections with. Firstly, as one of the 614 backers, I can say that I helped GF1 became the reality it is today; something confirmed by the fact that my name is printed in black and white in the book itself. In the week since its release, extra deleted chapters have also been made available, and can be downloaded from the official website, geminiforce1.com. The second, and much more anticipated release, was Thunderbirds Are Go, a new TV series which combines traditional model making techniques with computer generated characters. Although obviously based on the most famous series created by Anderson (alongside his then wife Sylvia), this incarnation is a joint production between ITV Studios, Pukeko Pictures, and Weta Workshops. Officially announced by Gerry Anderson himself back in 2011, just how much he was involved in the production of the series is hard to say; presumably very little but, unlike the 2004 Hollywood effort, we can be assured that Thunderbirds Are Go at least had his blessing. Jamie has also been involved of sorts, acting again as Anderson’s successor/figurehead when doing interviews to promote the series. These have included The One Show, but perhaps the most interesting was on Sky News where the interviewer that seemed to imply the series was created solely to make use of tax loopholes. Rather than sing its praises indiscriminately however, he has been promoting it in terms of celebrating its classic origins, allowing the new footage to speak for itself. One way in which he did make his opinions about the new series well-known however, was by writing a piece published by the Telegraph, about how CGI can never replace strings. Although Jamie may be siding with those of earlier generations, it has to be said that Anderson Sr. himself wasn’t dismissive of the CGI revolution’s ability to update his series’ visuals, as the last to be produced before his death, 2005’s New Captain Scarlet, was produced in full CGI “Hypermarionation”. 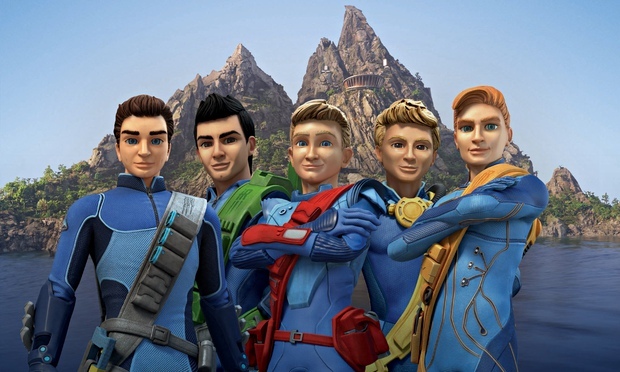 Eagerly scouring pictures and information that was released in the run up to the show’s broadcast, it was with great curiosity that I watched Reggie Yates’ preview documentary Thunderbirds Are Go: No Strings Attached. Despite the reassurance of not just the names of those involved (from actor David Graham returning to the role of Parker, and a script by David Baddiel), but the passion of those involved, my fears about CGI and modernisation weren’t quenched. So it was that not having been convinced by the clips of what I had seen, but still with an open mind, I sat down and watched the pilot episode, “Ring Of Fire.” CGI aside, the main changes have come from the show’s narrative, the most obvious being the fact that dad Jeff Tracy is now missing. Several allusions are made to a mysterious crash in which he disappeared, explaining his absence but also adding a sense of mystery that will presumably be a recurring arc over the run of the series. ‘Tin Tin’ has also been given a more prominent role, as well as the new name of Kayo, presumably so as not to upset anyone associated with the latest adventures of Herge’s finest, given her now more involved and adventurous role. And in the end, I have to admit I was pleasantly surprised. It is hardly perfect as the CGI and practical models don’t always mesh well, particularly during the heavy action sequences, and it is not something that will ever replace (although I highly doubt this was the intention) or surpass (you’d have to ask them) the original series. That said, it was something which appealed to me as both someone who cannot help but pick apart and analyse TV, and as a fan of Anderson’s previous work. Of all the things that they did get right, luckily the iconic Thunderbird lauch sequences, complete with bending trees, was one of them, and brought the biggest smile to my face. 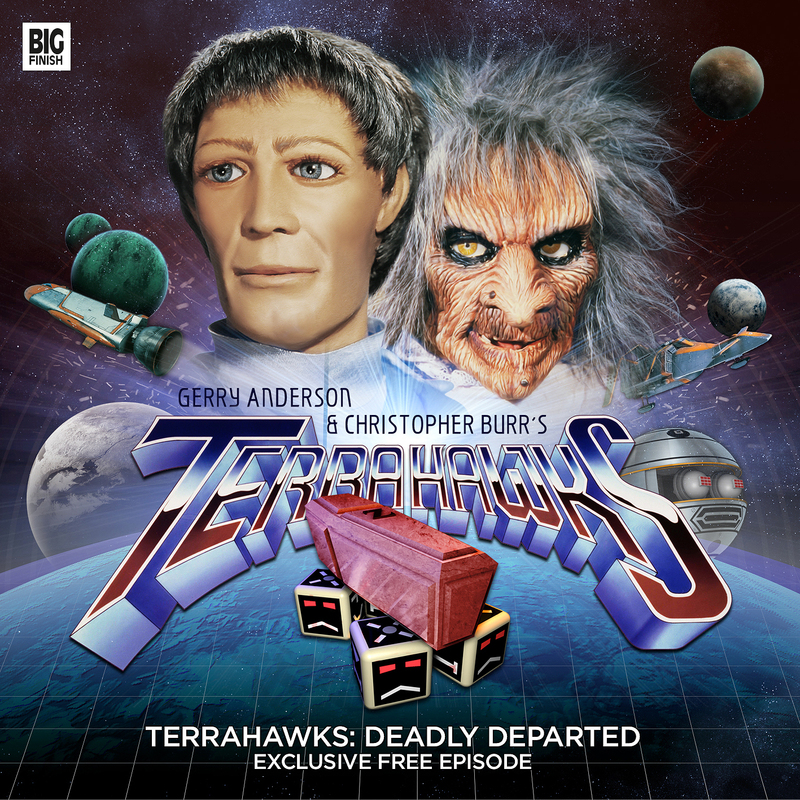 Following on from these was also the release of a new Terrahawks box set from Big Finish, a series of 8 audio episodes, one of which can be downloaded for free. Admittedly a series of which I initially knew less than Big Finish itself (a company established to continue Doctor Who after the original TV was cancelled, and which has since expanded to produce material for other sci-fi series including Stargate and Blake’s 7). Something obviously aimed at an existing audience rather than a new one, the medium of audio adventures seems something at odds with the rest of Anderson’s back catalogue, given that his name has become synonymous with brightly coloured vehicles and giant explosions. Whilst even the written word of Gemini Force One can describe the detailed visuals, audio Terrahawks doesn’t actually seem that out-of-place, and is probably the most suited to this new (for Anderson) medium. Populated by characters with caricatured accents, these new adventures make the most of what audio has to offer; the sound of spring like motions rather than footsteps is a great way to establish the robotic nature of the series, and never has the idea of a room being so silent been so cleverly (and funnily) portrayed). The fact that Jamie was involved in terms of both writing and directing episodes also adds the desired amount of authenticity. Despite the vastly different media, and varying degrees of publicity, all three of the latest Gerry Anderson projects may not have been met with universal praise (I guess you can’t please everybody), but at least with a favourable response that bodes well for the fact this is still just the beginning. Black Horizon is the first in a trilogy, Thunderbirds Are Go has already been confirmed for a second season, and the current Terrahawks box set is merely volume 1. Add to this that there is even more on the way (Jamie’s latest kickstarter project, Firestorm, was funded back in November), stand by for action indeed!!! After my usual morning routine of checking my email, social networks, and sfx.co.uk, today I came across some great news. Three months after the sad death of Gerry Anderson, not only is his legacy is still alive as ever, but the shows that he was working on seem to still be in development. Despite growing up thirty years after they were first made, Thunderbirds, Stingray, and Captain Scarlet and the Mysterons were highlights of my childhood. They captured my imagination, were undoubtedly an inspiration for me pursuing a career in film/television, and are a treasured part of my nostalgic VHS collection. Anderson was still creating new shows well into the ’90s and beyond. Although I’m afraid to say I’ve seen less than half the shows he produced, there hasn’t been one I’ve seen and not enjoyed (Space Precinct was also a personal favourite), and this just helps to point out how prolific and imaginative a creator he was. Not one to rest on his laurels however, it seems that he continued to work as long as his Alzheimer’s would let him, and today Anderson Entertainment have announced that there is still more to come, as they are “actively pursuing a number of new Gerry Anderson projects“. As much as this prospect delighted me, there was also part of me that was sad as well. On one hand for Anderson himself, and the simple fact that he won’t be there throughout the production of whatever these projects may be. But also because no matter how good film and TV projects that don’t involve their original creator are, they also have the potential to be so much more. I know it’s a comparison I always seem to use, but to be fair, there’s not much else that has had such a lengthy and celebrated-auteur-centric history as Star Trek. Although it continued going from strength to strength after the death of Gene Roddenberry in 1991, and with new producers came new ideas such as the stationary Deep Space Nine, none of his sucssesors have explored sexual equality in the same way Roddenberry did with race and gender in the 60’s. Despite giving interviews in which he stated that Season 5 of The Next Generation would feature gay characters, even today, 21 televisual seasons and five feature films later, we are still waiting to see if J.J. Abrams will live up to the fact that it “should happen and I would love to be able to be a part of that” with Star Trek: Into Darkness. In many ways Roddenberry and Anderson were more similar than I think they’re generaly given credit for, both being influential figures who played their part in the ‘Golden Era’ that revolutionised TV on both sides of the Atlantic. Another possible unlikely comparison however, is James Cameron. Or at least their creations. When it comes to his films, James Cameron created not just memorable characters in The Terminator and T2:Judgement Day, but an iconic and unique family situation that even the Tracys can’t outdo. Both written and directed by Cameron, they each give different insights into what is an intriguing relationship between lovers, mother and son, and son and absent & adopted father figures, but which the following film Rise of the Machines overlooks. With Hollywood still seeing the money potential, even after Cameron reportedly announced that T2 finished the story he wanted to tell, the further cinematic adventures were perhaps even more inevitable than 2004’s Thunderbirds. Made by “an American company who didn’t know anything” it is not surprising that the film was a failure with both the box-office and critics. As Anderson was not even hired to be creative consultant, he can only be respected for turning down a six-figure offer to endorse the film by attending its premiere. TV spin-off ‘The Sarah Connor Chronicles’ continued ‘The Terminator’s focus on family. Although two Supermarionation Thunderbrids films were previously released in ’66 and ’68, Anderson’s genius is something which has fared much better on the small screen. Like the later Terminator series The Sarah Connor Chronicles which, as its title suggests, focused on the family rather than machines, Anderson was able to frame his shows’ legendary special effects around stories that focused on equally captivating characters. This is something that his fans all over the world can be reassured by, as back in January 2011 Anderson himself announced he was working on a new Thunderbirds TV series. This was confirmed by ITV and Weta last month, and is no doubt be one of the new projects still being worked on. In addition to this, the head of production at Anderson Entertainment is none other than Anderson’s own son Jamie. Whilst his media credentials may be somewhat untested as of yet, surely the son of one of the most iconic, and principled, TV producers of his generation is a good bet to ensure the fruition of these new projects will be as close to Anderson’s original vision as possible.